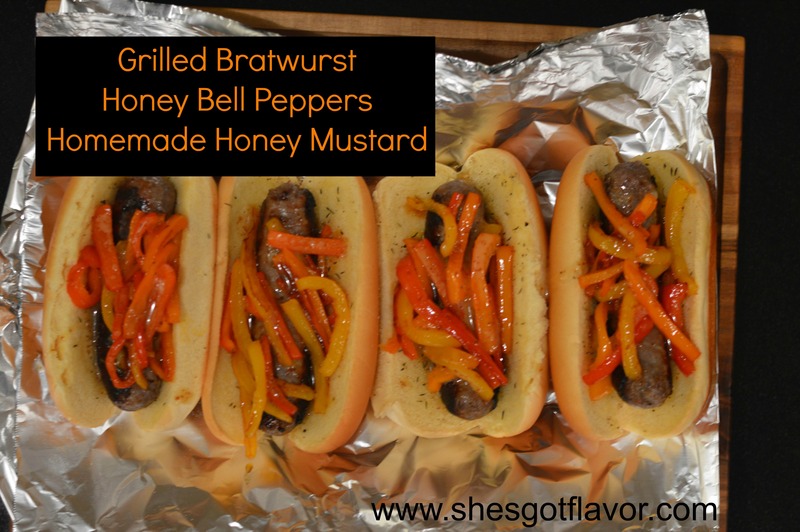 This grilled bratwurst with honey bell peppers and homemade honey mustard is one of those smack yo mama recipes! Serve these beautiful babies with a salad and call it DELICIOUS! This recipe will not disappoint! Whether you grill them indoors or outside, like mine your friends and family will ask for an encore! Like my daughter said “soo mommy, we gonna have these next Saturday right?” lol I said umm maybe ~ we’ll have to see how you do on your math and science tests next week! HA! I love having the power!! 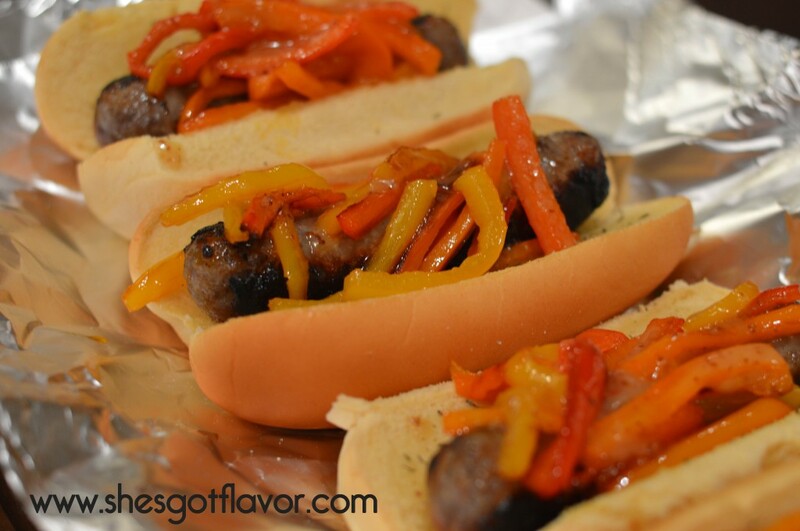 Hope you enjoy ~ don’t forget to share the recipe love!